Beneplus is a strategic marketing company specializing in B2B loyalty programs. It is also an incentive house, a performance improvement company, and a recognition program provider. Beneplus was founded in 2008 and grew from a family-owned business to one of the leading loyalty marketing companies in Latin America, having served some of the most valuable brands in Latin America as well as globally recognized manufacturers for 10 years. It started in the city of Santiago, the capital of Chile, and rapidly developed a nationwide network of partners within many different sectors. 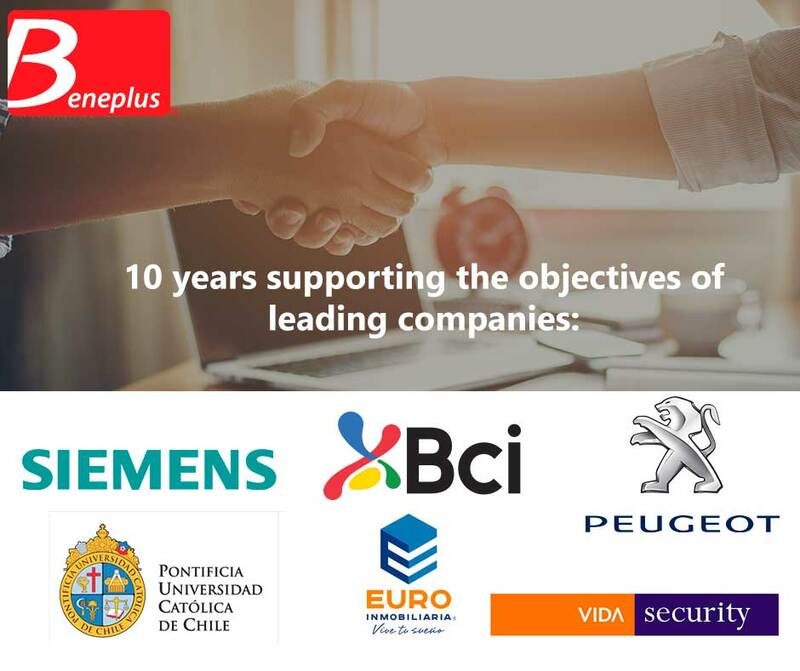 Beneplus’ successful loyalty marketing model has been implemented and tested in Chile, one of the most competitive and prosperous markets in Latin America. Beneplus is now expanding into other countries with important roles in the continent, such as Peru, Colombia, and the U.S. Beneplus has a broad knowledge of Hispanic consumers. whose strategies depends on customer’s desired goals. Beneplus understands that people seek to create and maintain honest, loyal, and emotional relationships with brands. Our solutions allowed us to drive customer engagement and retention, increase employee recognition, and improve overall loyalty and commitment among our client’s stakeholders. “We are thrilled with the benefits platform, it is a well-designed and easy-to-use platform that allows employees to request personal and family time based on points. I Wish to thank Beneplus for the services provided to the UC Alumni this year working together.